Although pet insurance has been available for approximately 20 years, many pet owners have never heard of it and are surprised that such a thing would even exist. After all, insurance is for people, right? Well, if you have ever had to empty your savings account in order to pay for a pet's surgery or if you have ever had to put a beloved pet to sleep because you couldn't afford medical care, then you can absolutely testify to the usefulness and worth of pet insurance. As is the case with most other health-related expenses, the costs associated with an average pet's medical care - preventative, emergency and catastrophic - are rising all the time. If you have multiple pets, the cost of even the most basic care can be financially crippling. When deciding whether or not to buy a health insurance policy for your pet, you have to ask yourself a few questions. Do you consider your pet to be a member of the family? Would you be unable to pay for (potentially) thousands of dollars in medical bills if your pet develops cancer or needs long-term medical care? Would it absolutely break your family's heart to have to euthanize your pet because you didn't plan ahead for potential health crises? If you answered "yes" to any of these questions, then you'll want to seriously consider purchasing an insurance policy for your pet. What Kind of Pet Insurance Is Available? Pet insurance is now available through a multitude of specialty companies; and, just as with your average health insurance plan, the higher the premium, the greater the range of benefits you and your pet receive. The average plan costs anywhere from $20 - $40 per month and has either no annual benefit limit at all or a limit of approximately $15,000 - $20,000. Many plans offer discounts for coverage of multiple pets. Your deductible will be determined by the plan you choose, but the average is approximately $100 per year. Since the majority of the medical expenses generated by a pet are related to routine procedures, look for a plan that covers vaccinations, neutering and spaying, annual check-ups and dental care. You want your pet to be protected in case he develops a serious illness or injury, but these lower-budget procedures can also put a big dent in your bank account. Make sure you're pet is covered! What Sort of Restrictions Are There? You may be willing to pay for your pet's health insurance, but that doesn't mean an insurance company will automatically cover him. If your pet is over a certain age, he may be denied coverage. Even if you find insurance for your pet, there are always certain coverage limits and restrictions. Most policies won't cover the treatment of pre-existing conditions or genetic defects. Sometimes cancer is also excluded from coverage (although many companies will add cancer care to the coverage for an additional cost). Be aware of any waiting periods that are written into your pet's policy. The waiting period will determine when your pet's coverage actually begins - waiting periods can last anywhere from two weeks to six months. Once your plan takes effect, you may have to choose a veterinarian from a list of approved providers. If your pet does not qualify for insurance or if you simply choose not to buy a policy, there are a few money-saving options you can try. 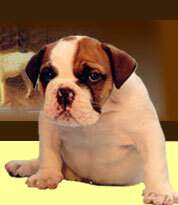 One example is a pet health care discount program (i.e. Pet Assure). When you join the program, you receive a discount (up to 25%) on your pet's medical care as long as you patronize participating veterinarians. Other benefits, such as prescription discounts and access to product coupons, are also included in the membership fee. If your uninsured dog needs emergency medical care and you have no funds available, ask your vet if their clinic offers any sort of emergency funding. Sometimes veterinarians will set aside funds for pets whose owners cannot afford care, especially if the treatment does not involve long-term care and multiple visits. If there are no such funds set aside, you may be able to finance the fees. A final option (and definitely a long-shot) is the humane society or non-profit pet support group that offers financial aid. You have to apply for their limited funds and few applicants actually receive enough money to pay the totality of their pet's medical bills. Insurance is really the only way to make sure that your pet can receive costly medical care if he needs it.